APCH/DEP SVC PRVDD BY BOSTON ARTCC ON FREQS 128.2/322.4 (SOUTH ACTON RCAG) WHEN APCH CTL CLOSED. COM AVBL ON GND THRU BANGOR RADIO ON FREQ 120.9 WHEN PORTLAND ATCT CLSD. ATCT OCCASIONALLY STAYS OPEN BYD 0000 LCL DURG ADVERSE WEATHER. A110-1 NO TGLS DURG SNOW REMOVAL. A110-10 BIRDS OCCASIONALLY ON AND INVOF ARPT. A110-11 PUSHBACK ONTO TWY A RQRD FM TRML GATES 1-8. 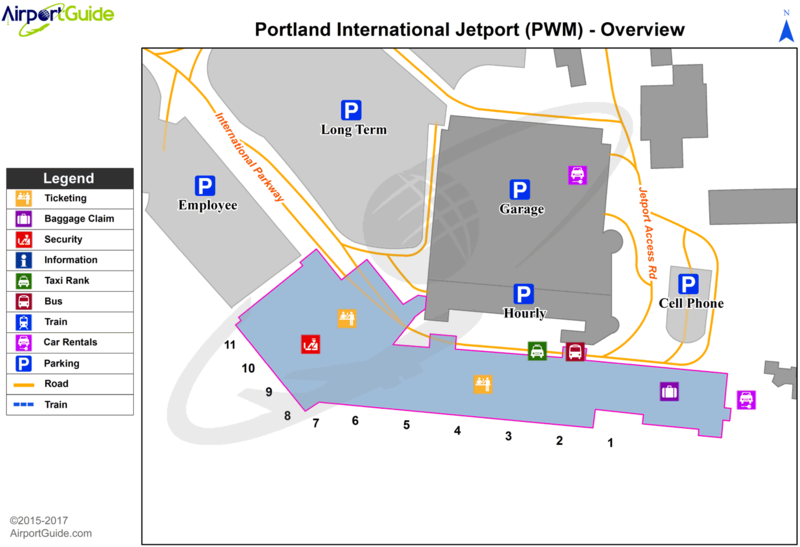 ACFT MAY NOT PUSH SHORT OF TWY A FM GATES 1-8. CTC GND 121.9. ADZ PUSHBACK OPR YOU HAVE ALPHA PRIOR TO PUSH. A110-4 TWY A EAST OF RY 18/36 CLSD TO ACFT WITH WINGSPAN GREATER THAN 135 FT.
A110-7 PAEW ADJ TO RYS NGTS; GND VEHICLES MONITOR 120.9 WHEN ATCT CLSD. A110-8 MAINT RUN-UPS RY 11 RUN-UP AREA ONLY. PRIOR TO ANY RUN-UPS, OR FOR NOISE ABATEMENT INFO, CONTACT THE ARPT OPERATIONS CENTER ON FREQ 129.95 OR CALL AT 207-756-8310. A110-9 ACFT EMERGENCIES BETWEEN THE 0000-0545 CALL PORTLAND AIR RESCUE 1-207-874-8576. A49-11 ALSF-II BECOMES SSALS WHEN ATCT CLSD. A70 FOR FUEL AFT HRS CALL 207-774-6318 FOR NE AIR, CALL 207-347-0445 FOR MAC JETS. 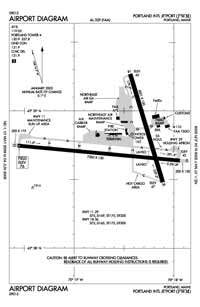 A81-APT WHEN TWR CLSD ACTVT MALSR RWY 29; REIL RWY 18 & 36; TDZL RWY 11; CNTLN RWY 11/29; PAPI RWY 11, 29, 18 & 36; HIRL RWY 11/29; MIRL RWY 18/36 - CTAF. E80 GA CUSTOMS/IMMIGRATION FACILITY LOCATED AT CARGO APRON. ACFT ARRIVING/DEPARTING CUSTOMS MUST USE EXTREME CAUTION WHEN NAVIGATING ON THE CARGO APRON TO MINIMIZE JET BLAST EXPOSURE TO HANGARS AND ACFT. Dual Wheel Landing Gear: 169. Dual Wheel Landing Gear: 165.